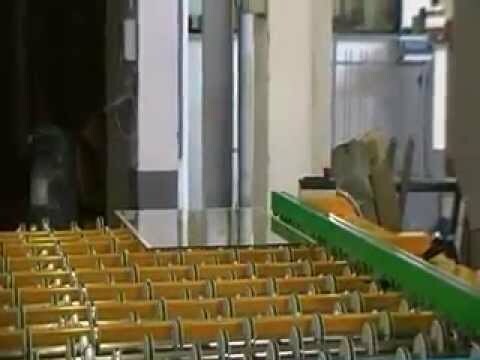 Framecoater is the roller coater for painting the frame areas of glass panels. Framecoater covers a specific demand from architects and is a replacement for conventional silk-screen printing, eliminating the costs of silk-screen matrices. Working parameters and the thickness and width of the frame for painting are controlled automatically as required. Panels are loaded and unloaded by hand by the operator. Framecoater is perfect for coating the frame areas of even large glass panels.